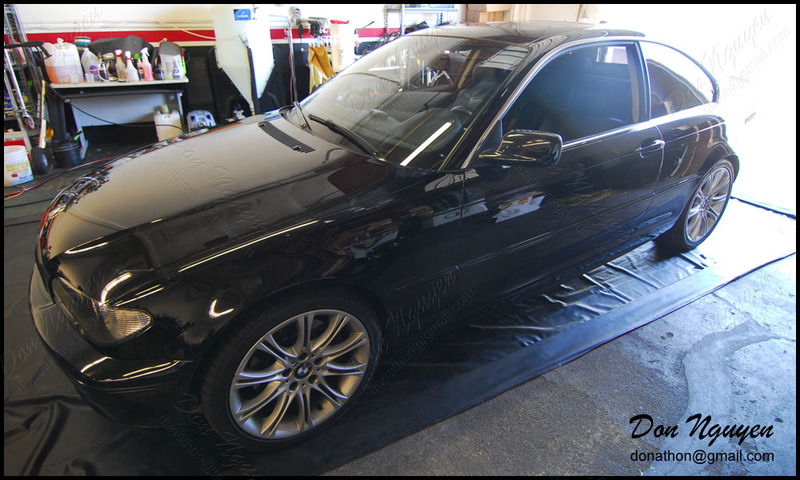 Although white cars may look the best with the gloss black roofs, black cars definitely benefit one of the most when it comes to getting their chrome / brushed aluminum window trims blacked out. I believe the owner of this car is also on this forum. 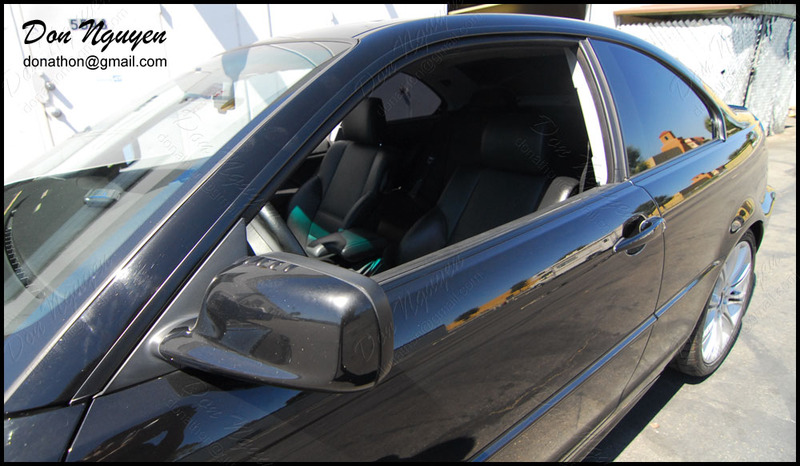 The owner of this car brought their jet black E46 325 (or it was a 330) coupe to have me wrap his window trim in my matte black vinyl material to give it that shadowline look. We went with the matte black to get that slight contrast. Overall, I think it turned out great and changed the look of the car dramatically. Even on a more stock-ish car, doing this still benefits and changes the overall look of the car quite a bit.